Wat is dit voor site? Wij zoeken de goedkoopste boeken op internet. Latino Americansvonden we het goedkoopst op Bol.com voor €28.99. We hebben gezocht in nieuwe en tweedehands boeken. Rechtsonderaan de pagina kan je het boek direct bestellen	via Bol	.com. 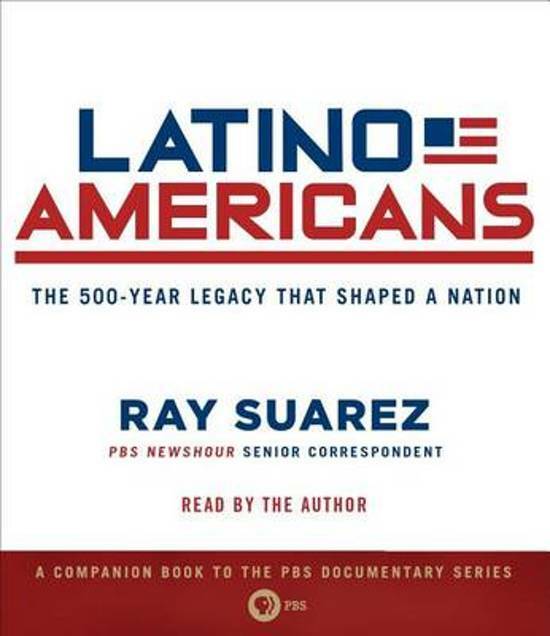 As the largest minority in the country, Latino Americans make up an integral part of American history and continue to make major social, cultural, and political contributions. Latino Americans shares their story, revealing the personal struggles and successes of immigrants, poets, soldiers, and others who have made an impact on history.Author and acclaimed journalist Ray Suarez explores the lives of Latino American men and women across a five-hundred-year span, encompassing an epic range of experiences from the early European settlements to Manifest Destiny; the Wild West to the Cold War; the Great Depression to Globalization; and the Spanish-American War to the Civil Rights movement.